Marking posts as "Ready for Publishing"
I'm a big fan of code review. We practice it heavily at Capital One, and I strive to self-review personal/private projects. But when working on articles that I'm writing for my blog I also want to make sure that I've gone through a similar review process before publishing. I've developed a flow for how I write the articles, which I find really effective for my use cases. Firstly, I like to use my repo's issue tracker to track the various article ideas I have. In its most basic form I'll create an issue, such as this blog post's issue, with the title being somewhat descriptive i.e. Article: MRs and blog posts, and then expand the description if it's not self explanatory. I often jot down these ideas on-the-go, so don't provide lots of detail, but at a later point I'll look to add enough detail for me to pick up the article next time and then add the To Do label. Using GitLab's issue boards concept, I'll prioritise it on my articles issue board, ranking the order of execution among the list of other topics I'd like to cover. When I've got time to work on article writing, I'll browse to my articles issue board, and move the issue across from To Do to Doing, which will update the labels and make it clear I'm working on it. I'll also assign myself to make it show up properly in GitLab's tracking that it's now officially being worked on. I have two main Git models for writing articles, but regardless of which flow I follow for a given article, I will always raise a MR and review the content before merge - I'll never push straight to master, just like I wouldn't on any other project! I don't follow gitflow, instead preferring a master-based Git model to reduce any unnecessary overhead of extra mainline branches. All post drafts are stored in Jekyll's _drafts folder, which ensures that posts that aren't yet ready to build will not be published, ensuring tests won't be run, nor incomplete content accidentally published. In this model, I commit directly to master by updating posts in the _drafts folder. This is a great flow for being at i.e. a meetup or conference where I know I won't have the chance to immediately write up the blog posts, but want the notes/draft to be tracked somewhere easy to access, rather than on some long-lived branch. In cases where I know I'll be able to work on the article in a shorter period of time, I'll just create a feature branch off master, named appropriately i.e. article/blog-post-editorial-process. In this model, because I have a non-mainline branch, I'm able to rewrite history as-and-when I like, which is great because instead of having multiple Updating <article name> content commits, I can then have a single commit for the article content if I wish. Once I've written the draft's content, I'll then need a branch to be created which promotes the draft to being a fully-blown post. As mentioned, this happens regardless of the Git-based flow I follow as I always want to review new content before publishing it. In Jekyll, this is achieved by moving the file from _drafts to _posts. With the branch pushed to GitLab, I then raise a Merge Request (MR) on the GitLab UI, tagging the MR with the label article. git mv "_drafts/$1" "_posts/$(date -I)-$1"
-git mv "_drafts/code-is-for-computers.md" "_posts/$(date +%Y-%m-%d)-code-is-for-computers.md"
+git mv "_drafts/code-is-for-computers.md" "_posts/$(date -I)-code-is-for-computers.md"
Which was slower to type, and required better memory. Secondly, this becoming more of an occurrence as I started to blog more, so I wanted to make sure that I was reducing the overhead of writing out the command each time in a reusable fashion. Now I've got a MR raised, I'd follow the link in the GitLab UI through to the GitLab review app, i.e. https://example-review-apps.www.review.jvt.me/, once the branch has deployed. This is something I've configured myself to allow me to spin up each branch on a personal server of mine, allowing me to see my changes in a production-like environment. With each of the following areas to look at, I can either raise a comment on the MR and then address them locally, or just address them locally. For speed, I address them locally, but for some level of auditability, I feel I should start commenting on MRs again. Again, if the Git flow matches, I'll address these comments in the form of rebasing and amending commits locally, rather than creating new commits, which again loses some auditability, but is purely personal preference. do media such as images and asciicasts load correctly? does the layout look alright? does the content read OK? Is spelling/grammar OK? I'll also perform a couple of full read-throughs to make sure that I'm happy with the flow and wording of the content. have I specified an image if appropriate? are there any glaring issues in terms of filenames, paths, etc? do all links resolve, or have they broken? have I used the correct case for GitLab and GitHub? do images have alt tags for accessibility? Once I'm happy with the content, I'll set GitLab to either merge the Merge Request, or if I've recently pushed changes that haven't yet had GitLab-CI run on them, I'll set it to "merge when pipeline succeeds". In the case that the pipeline does not succeed I'll get an email, and a browser notification if I'm still on the page, and will be able to go in and fix-forward, squashing commits in where possible using git commit --fixup and git rebase -i --autosquash. When it does finally succeed, I'll receive a push notification via PushBullet to say that that site has deployed, allowing me to start on marketing the post(s). As I run my own analytics using Matomo (née Piwik), I like to obsess over the page hits I receive. I've recently started looking at using UTM codes such as utm_medium and marketing campaigns to try and track down exactly where a hit comes in from. If I manage to publish a post later in the evening, as sometimes I do, I'll leave the promotion of the article on my regular channels until the next day, waiting until we reach UK friendly hours, where it's more likely to get picked up by people I care about. Without this, there would be no way to work in a trunk-based flow, as I'd never be able to commit an unfinished post. This would therefore mandate branch-based workflow, which can be harder and require more overhead for every post I'm writing, especially where I would have multiple drafts that aren't being actively worked on. As with all branches, the longer they're left unmerged, the harder it'll be to merge them. Because of Jekyll's concepts of drafts I can now use branches more effectively - I can place new articles on their own branches and work on them in one go, or I can keep drafts in master and chip away at them over time. In my current workflow, I'm using GitLab, but this part of the flow could as easily be done via GitHub, BitBucket, Gogs/Gitea or many of the other SCM hosting providers. I find having a stage to enforce "code review" of the article is great, as it makes sure I have checked it reads well, I've got the right post metadata, and has all the relevant media committed. Although possible in other flows, such as via Netlify's Branch Previews, I've found the workflow really great with GitLab's offering. Having a production-like deployment makes it really easy to spot any issues compared to local development, as well as make it easy to verify all the right media has been committed correctly. Hopefully this helps share some light on what's working for me and whether there's anything you can adopt yourself. Let me know (via contact details below) if there's anything I can take on board to make my process easier! Taking you through the journey I go on when writing blog posts, from ideation to publishing the post. 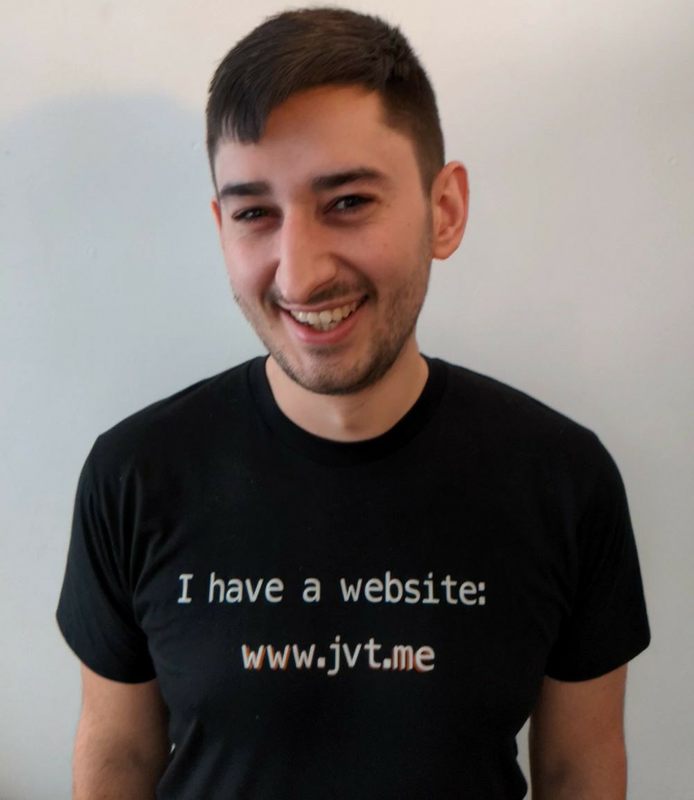 The canonical URL for this post is https://www.jvt.me/posts/2018/09/12/blog-post-editorial-workflow/ . Written by Jamie Tanna on 12 September 2018 , and last updated on 24 March 2019 .